Shadow Hunters are a duo from the south west coast of Norway who formed in 2013 and have been self-producing their music. They have also been promoting it themselves and it is difficult for me to tell you much about Will S and Inger LH, aside from the facts that Will plays guitar and sings while Inger plays the drums, their website and Facebook page not giving any further information about this mysterious duo. There is a lot of use of keyboards on the album, but I don’t know if they had someone to provide these or played the parts themselves. Searching for information is hampered by the fact that the band name is very similar to a US TV show of the same name. Just a tip guys, if you are going to self-release you need to find a way of getting more information out there to help promote yourselves. Gripe over, so let’s get to the music. The duo describe their music as “modern energetic sci-fi rock”; their influences listed as movies, modern rock, metal, sci-fi and film scores. This does appear to be somewhat true as the music here has a layered, theatrical and at times almost bombastic feel. There is some imaginative writing but this is certainly more of a rock orientated than progressive album, at times having the feel of a pop/rock crossover. Fire Will Be Free has some harder edge guitar and drums, but the lyrics have an almost pop quality. Elsewhere on the track Comodrone the keyboards dominate, accompanied by progressive metal style drumming. 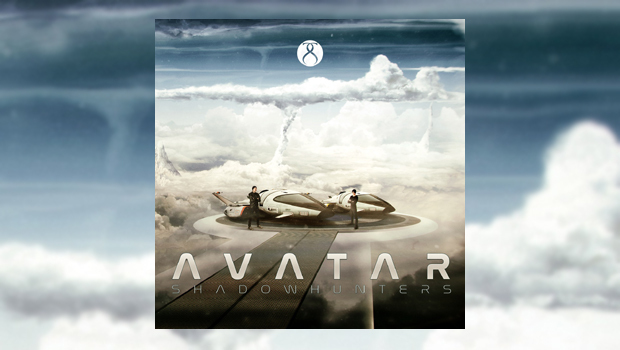 On Astral Journey, one of three instrumental tracks on Avatar, the keyboards create a moody atmosphere with a straight forward drum accompaniment. Avatar has a very full sound, with almost too much in the way of keyboards at times which causes the other instruments to get lost in the mix. It’s a short album, clocking in at just over thirty minutes and the tracks sound quite similar to each other on the first few listens, partly due to the dominance of the keyboards, although the guitar does make its presence felt with some forthright riffing at times. Overall an interesting debut, a little too straight rock for my tastes, but if you like alternative rock which is easy on the ears, this may be for you.